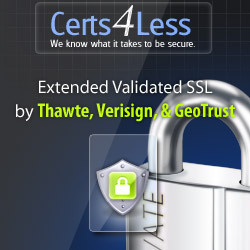 If there's news, press releases, or articles published about Extended Validation SSL Certificates, we'll post it here. Sometimes the best way to know if a product or service is right for you is to see examples of how other businesses have confronted similar challenges. Got a question and need answers quick? We post the most frequently asked questions we receive and provide the most reliable answers. General information about SSL EV Certificates. A great place to start if you need to understand what an SSL EV Certificate is, and how it works. A collection of Articles that give end-to-end instructions to install, renew and update your EV SSL Certificate.